This game is just amazing. I mean come on! It's Tomb Raider!! Who wouldn't love this game?! 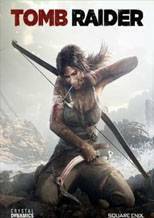 The story is great, the level design is amazing and Lara Croft is a badass as usual! Get it now! This game is soo cool. I suggested it to all my friends and they all got it! They all love the game and it is my favourite game in the world. I would suggest this game to anyone that is a gamer at all!